Below is a copy of the Meta Mate manifesto, a work in progress describing the way Meta Mate sees business as a contribution to our wellbeing and that of the next generation. 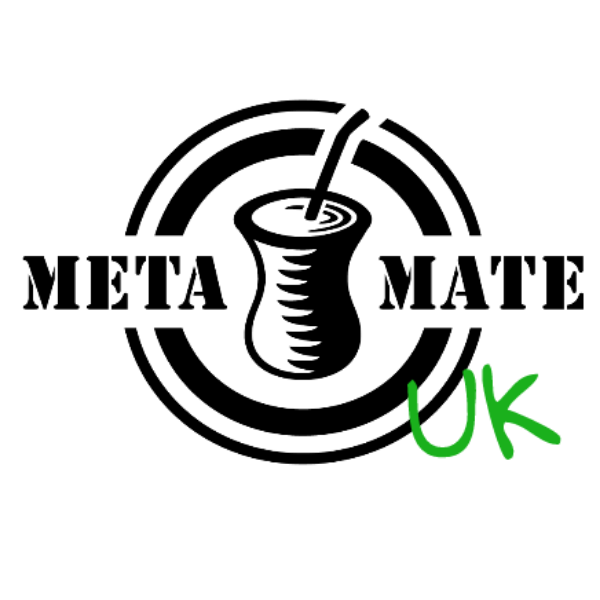 If you wish to contribute to it, you can add comments at the Meta Mate blog here. Meta Mate works in the forest with the tarefeiros, with the Uru that dries the Mate. We research with the universities and labs, we negotiate with the governmental agencies and institutions. We make it for us and for you and we need you to drink, breathe and to share the Mate and the knowledge. From our experience it is much nicer to work without hierarchy. It gives everyone involved an equal feeling of ownership. It does take long to make decisions with consensus democracy but in the end it brings better solutions. On the other hand, just as the cevador prepairs the mate, the ones responsible for executing a task has the freedom to decide how to do it. Thereafter, we can all voice our opinions equally in the circle. We do not see separation or opposition in business, but rather work together hand in hand with the Mate producers that understand the spirit of Mate. We are proud to work with Caayara, Premium Cola, Club Mate, Barao do Cotegipe and 1337 Mate, who, instead of following an outdated philosophy of separation, decide to openly unite forces, resulting in better services and products. We envision a co-operative market-place, where resources are united for the wellbeing of all. We never bargain or allow others to bargain with us. We deliver the very best product for the fairest price possible. We pay the desired price or better whenever possible. We strive to educate ourselves as well as our partners in an attempt to reach more sustainable processes, and thus to achieve better results for the environment and for everyone involved. We want the best for our partners and if someone wishes to join us in helping to provide our suppliers with better conditions and reaching out to a wider public (thus spreading mate to more drinkers), we welcome them. We answer all questions. We give the source of suppliers, the price paid, the google earth coordinates of the forests. This is done on the agreement that Meta Mate’s relationship to our suppliers would not be endangered, but enhanced by the cooperation. This is a part of our ‘Fair Trust’ concept. We do everything possible for all our partners so if someone wants to join with the same or better conditions they are most welcome. We refrain from taking loans or supporting the financial market and try if possible to work with direct transactions and not use or earn capital interest in our operations. All money we earn is used to pay our costs and re-invest in procedures to allow a replacement of our ecological footprint. Exceptions, however, can be made as in the case with the Mate e.V. where we have taken a loan together with Caayara to save 8 hectares of Mate forest from becoming a soya monoculture field. Up to February 2015 all private income from the initiators of Meta Mate Berlin (do Canto Family) has been covered by the German government’s program to support new business initiatives for citizens with low/no income. We work with a CC-License NC-SA. That means everything we do can be copied if the source is named for non-commercial reasons. If someone wants to make money with it we would prefer to have an agreement so that we ensure proper use of our intellectual investments. Our partners that co-develop products are also motivated to publish their design and recipes as CC. Sustainability is not enough. We strive to replace our ecological footprint, introducing revertability. Today’s economy is unhealthy, not only not sustainable, and everything is driven towards growth or material wealth, separating people from each other and their environment. To be sustainable is not enough. We need a model to reset and undo the damage caused to the environment. To preserve its condition is not enough. We strive to revert it so that the next generation can enjoy a quality of life equal to or better than that of our ancestors. One of the ways to do this is to implement a non-profit strategy to support Mate ambassadors as they start up, as was the case with Project Mate Bar and Yerba Mate South Africa. Another way we are doing this is by getting involved in projects such as investments in permaculture, reforestation and the legalisation of artisanal and de-centralised Mate production. Read about our pilot project to create Yerba Mate permaculture here. By not putting money towards media advertising, we ensure that we invest all our resources in providing as good a product as we can. As a result, our customers get the best value for money possible. We do post information about our work, but we don’t set aside a budget for the purpose of mass communication. If you would like to contribute to this manifesto, please add your comments on the Meta Mate Manifesto Blog here.